Congratulations on your decision to learn Hebrew (עברית). It is a very interesting language with a history (היסטוריה) of 3000 years, as well as a new vibrant, growing modern language(שפה). Hebrew is for the most part, a what you see, is what you get language. That is once you learn the rules, and the basic grammar(דקדוק), you can be sure that most words will “fit” into a category and you will know how to say it. Of course there are some exceptions, like any growing, modern language, but there are not as many exceptions as with English. Learning Hebrew online is rather new (חדש), and it is exciting. There are many advantages (יתרנות) to learning Hebrew online. 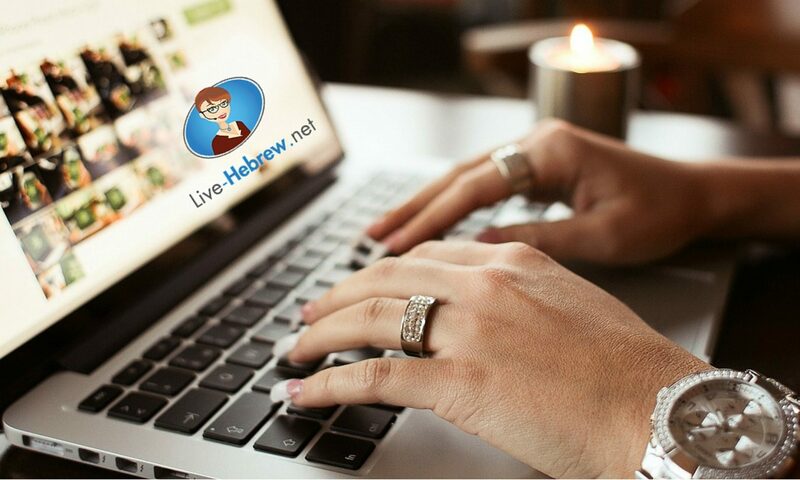 There are different ways of learning Hebrew online, either through elearning or with a live Hebrew teacher online by Skype. 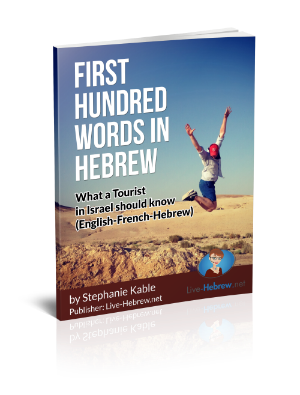 One of the most important is that you can learn Hebrew in the comfort of your own home (בבית). When I wanted to learn Hebrew, I was in a big city in the United States, and even so, there were not so many places to learn Hebrew. Most of them offered only beginning Hebrew, which was fine when I was first learning how to read and pronounce basic words. When I wanted to learn more, I had to make the big decision to come to Israel. A long time has passed from that time, about twenty years, but the same situation still occurs in many places in the world. When you learn Hebrew online however, you are not limited by geography. You can learn Hebrew on the computer or with an private Israeli teacher via Skype from where ever you live. Another problem that I found was when I was learning Hebrew in a class, was that there was a range of ability even in a beginning class. I was just learning how to read (לקרא), and there were other students who were far ahead of me! I was very embarrassed (מבוכה) when I was called upon to read from the book, because I knew that I was not on the same level. This held me back in my progress because I didn’t want to draw attention to my lack of reading ability. In an online environment however this is not a problem. Online, at Live-Hebrew.net, the classes are private (פרטי) Skype Hebrew lessons, and you get your own private teacher who helps you at your own level. The teacher teaches you at your pace, and you might progress much faster than if you were in a class. The last factor is cost(מחיר). Most in-person Hebrew schools are very expensive (יקר), they have to pay administrators, rent, upkeep, utilities and of course the teachers. When you learn Hebrew online, it is much less expensive. Go ahead and sign up for Hebrew class on-line and start learning Hebrew!